ANOTHER landslip at Olivers Hill last week has again focused attention on safety concerns in the prestigious area. Falling debris blocked a footpath on the corner of Liddesdale Ave and Nepean Highway last Monday morning (23 February). Fortunately, no-one was walking past at the time of the latest landslip. It comes just three years after a major landslip caused a gabion wall near Nepean Hwy to collapse, closing southbound lanes. Homes in the Liddesdale Ave area were evacuated in 2007 when a similar landslip also occurred. Coincidentally, a report about landslip susceptibility around the Cliff Rd area atop Olivers Hill was tabled at this month’s public council meeting. 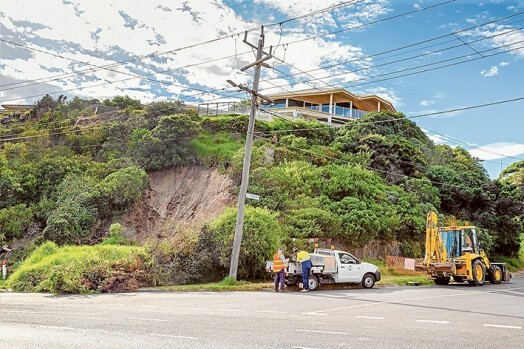 Councillors unanimously voted to write to state Planning Minister Richard Wynne to apply an Erosion Management Overlay over “areas of identified landslide risk” as a result of the report. An EMO means any new development must be designed to minimise the risk of future landslip. At the council meeting, Frankston resident and registered builder Christi Silke said he had built two homes in the Cliff Rd area and had renovated many others. He said he had read the report “with an open mind” but believed it had little “technical substance”. Mr Silke said there were “separate problems” in the gully area at Olivers Hill but he had never seen any land movements around the Cliff Rd area other than those caused by “poorly man-made structures”. “We’ve got building and planning processes in place and these work really well,” he said. Former mayor Christine Richards spoke on behalf of Warringa Rd residents, which is situated near Cliff Rd, at this month’s council meeting. 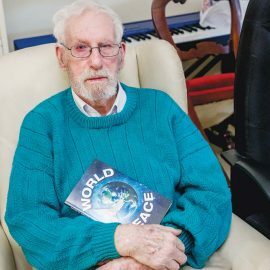 “Graham Kennedy had a home in that area and one day in the ‘60s he was on air and – much to the amazement of the people listening – he and Mike Walsh recorded how the driveway that was in front of Graham Kennedy’s house just slipped down the slope,” she said. Ms Richards said the report before council “was excellent”. The report noted several landslips area over previous decades. Three homes slipped down the slope in the 1950s and 1960s. In 1972 debris hit homes and fell as far as the Nepean Hwy. “We are clearly talking here about an area where there is a risk not just to property but to life,” Ms Richards said. She said interim controls are urgently required since homes can be built in the area up to a height limit of two metres at the moment without the need to consult council. Council workers investigated the latest landslip near Liddesdale Ave.